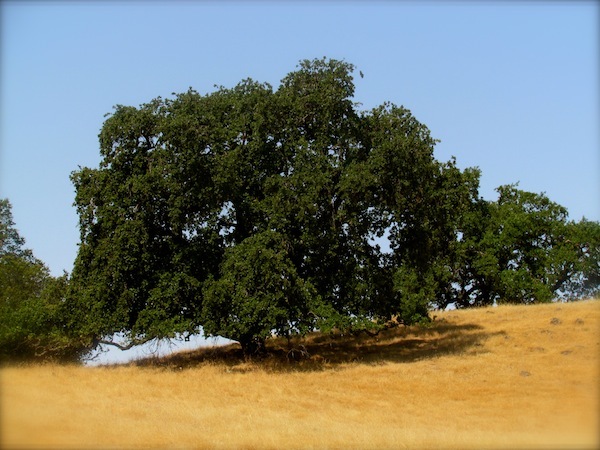 Like most newcomers to Petaluma, I was struck by the mountain dominating the skyline to the northeast, with its checkerboard of grassland and oak woodlands reminiscent of the beloved hills of my youth. I learned it was Sonoma County’s dominant landform and namesake, and of its foundational role in the region’s culture and history. And then came the question every outdoor-oriented newcomer to Petaluma asks: where can we hike up there? Sadly, the answer in the early 1980’s was: nowhere. Of the more than 10,000 acres of Sonoma Mountain that can be seen from Petaluma, there was not a single acre of parkland, nor a single public trail. Taken at the Petaluma River’s Turning Basin near downtown by Scott Hess. Lafferty Ranch, owned by the City of Petaluma, includes the large wooded canyon in the center of the frame. I was fortunate to grow up in a southern Marin adjacent to natural open space. Many of my most formative experiences took place in those hills, in the company of parents, friends, and my own thoughts and observations. I credit that immediacy of nature with much of what I have become since, including a lifelong environmentalist. 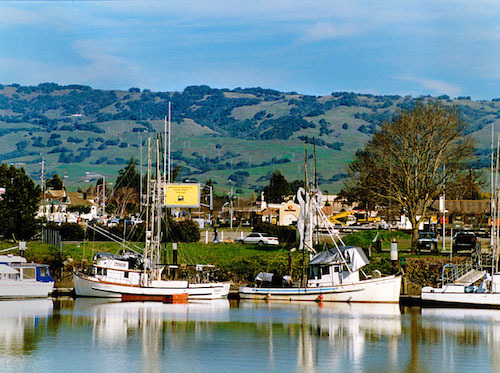 In the early 1980s my wife and I had moved to Petaluma, because it was midway between my work in San Rafael and hers in Santa Rosa, and because it seemed a good place to raise a family. But, as we discovered, the west side of the mountain itself was wholly privately owned, with no public access. Much has changed since the 1980s. 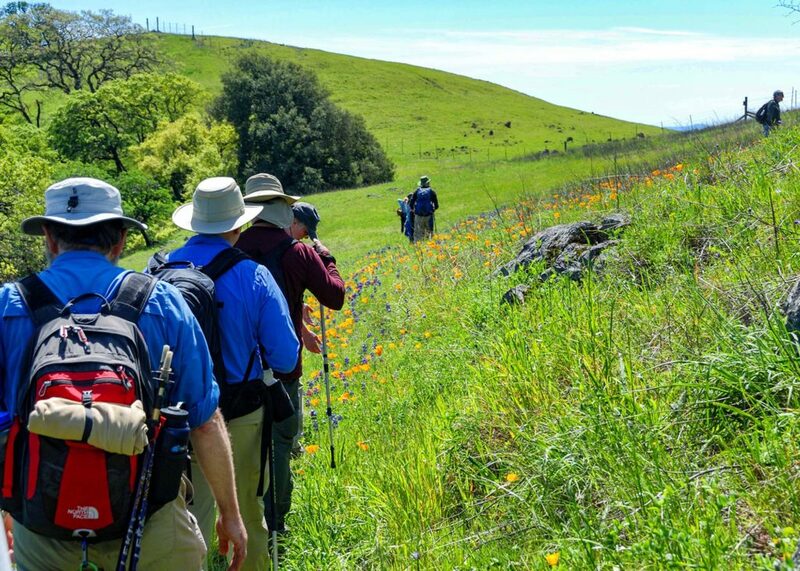 The Sonoma County Ag Preservation & Open Space District, twice funded by voters and aided by the Sonoma Land Trust, LandPaths, and Sonoma Mountain Preservation, have permanently protected vast swaths of agricultural and open space, and opened many thousands of acres of scenic natural lands to responsible public enjoyment throughout the county. Throughout the county, that is, except on the Petaluma side of Sonoma Mountain. What was true in the 1980s remains true today: not a single trail nor a single public acre can be found on the southeast slope overlooking Petaluma. Yet a ray of hope began to emerge in the early 1990s. 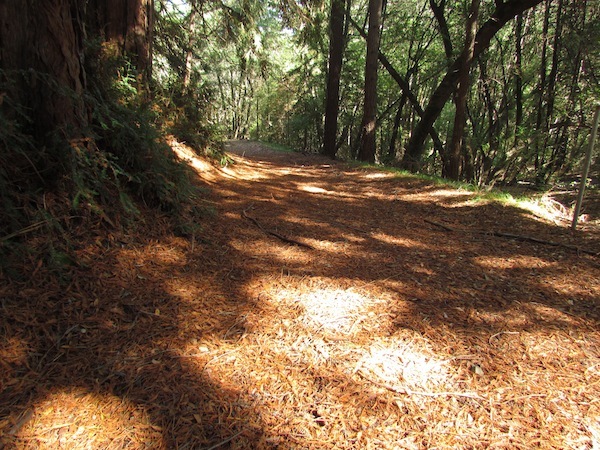 Petaluma began to implement its longstanding plan to open Lafferty Ranch, a scenic, 270-acre, city-owned property comprising the headwaters of historic Adobe Creek and reaching to the Sonoma Mountain ridgeline of Sonoma Mountain, as a public park. 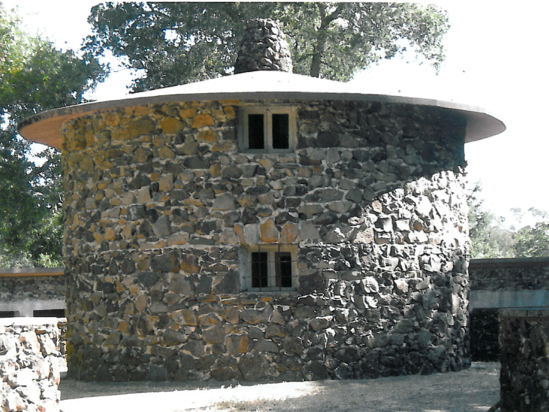 But many of us, with the continued support of Sonoma Mountain Preservation and others, are determined to change that. Before too long, I am certain, Lafferty Ranch will be opened to the public, as long planned. And one day too, I hope it will become part of the existing and growing network of public lands and trails on Sonoma Mountain, so that our children and grandchildren can once again hike over the mountain from valley to valley, in the footsteps of the Coast Miwok, Mariano Vallejo, and Jack London. 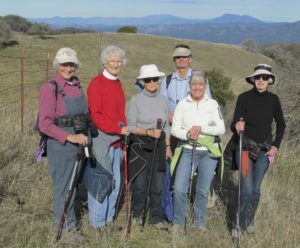 This post, by Larry Modell, is one of a series of guest posts from local residents on “Why I Love The Mountain” on SonomaMountain.org. Thank you Larry for your contribution, and we encourage readers to find out how they can help Lafferty open to the public. The scene is October 2020 and young Willie and a friend have started on a fifteen-mile hike from downtown Petaluma with the goal of reaching Glen Ellen by crossing Sonoma Mountain. His imagination has been stirred by his reading of Jack London, on horseback, having ascended from his Beauty Ranch to the top of the mountain, shading his eyes to witness the Pacific Ocean to the west. Willie’s grandfather had told him about a Petaluma tradition: a hike to legendary Whitney Falls on the Sonoma side, lunch in hand, and returning fourteen hours later to Petaluma the same day. No questions asked by property owners in his grandfather’s youth. Willie envied the freedom to roam in the countryside in those days. Now he knows of a designated trail over the summit. Up Adobe Creek traversing Lafferty Ranch, through the Mitsui property to the top of the mountain on the publicly owned Sonoma Mountain Ranch, the trail will bring him to the borders of Jack London Park, the state part that recently added Whitney Falls at its border. Unlike his grandfather’s description of a tired hiker, having ascended a 2100-foot climb in seven hours to gain the spectacular sigh of the Falls, only to face a seven hour return to Petaluma, Willie will descend on a trail through Beauty Ranch to Glen Ellen and pick up a bus ride back to Petaluma. Everyone likes to climb to the top of a mountain, like a bear, “to see what he could see,” particularly a mountain that is every present in your daily life. Willie’s grandfather claimed that Sonoma Mountain was the last Bay Area peak amongst a circle of peaks around the Bay that now provided public access. Willie wonders whether the lunch his mother packed will be enough. For over a decade the slopes of Sonoma and Taylor mountains have been covered, not only in homes and fields and woods, but by a set of development guidelines that restrict the visual impact of new residences. 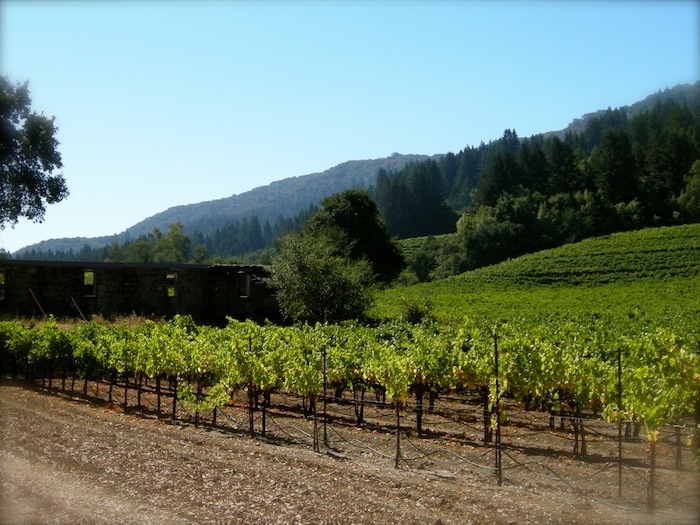 IN 2011 the county Board of Supervisors unanimously approved revisions to the design guidelines and extended them to include the southern slopes of the Mayacamas. The guidelines apply to single family dwellings, appurtenant structures such as garages, guest houses, storage buildings, etc. and to related roadways, grading sites and utilities. They do not apply to agricultural structures or uses nor to structures that do not require a building permit. They are intended to reduce the visual impact of development. Guidelines include site planning, architectural and landscaping elements. Site planning constraints include, for example, locating structures so they are screened by existing vegetation or topographic features when viewed from a public road. Architectural guidelines address exterior color, glazing (non-reflective) and night lighting, while landscaping guidelines cover plant species, re-vegetation scale and density. SMP had a major role in getting county approval and implementation of the initial guidelines and, this time with the assistance of land planning consultant Nancy Dakin, again pushed for approval of the revised and expanded requirements. This coming year SMP will produce and distribute the guidelines in an easy-to-understand pamphlet which will be available through real estate offices as well as the PRMD office.